Abbie–August 9th Pet of the Week! You are here: Home / Pet Corner / Abbie–August 9th Pet of the Week! Such a pretty, pretty face has Abbie! We’re not sure why she only has a partial tail—and we’re not sure we want to know—but we don’t care. Abbie doesn’t seem to care, either. She’s happy to be petted and happy to purr on a lap. Abbie’s a 6-year-old stray whose medium-length fur seems to comprise every color pattern that exists: calico, tabby, gray—let’s call her Everycat. And every cat needs a home. 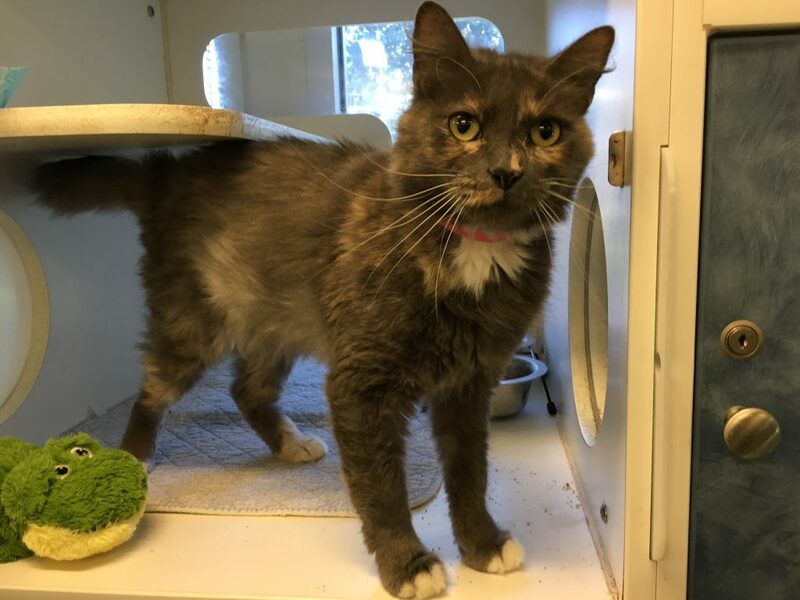 Continue with Abbie—meet her on the shelter side of the Companion Animal Village at 7700 East Spring St., (562) 570-PETS. Ask for ID#A609131.